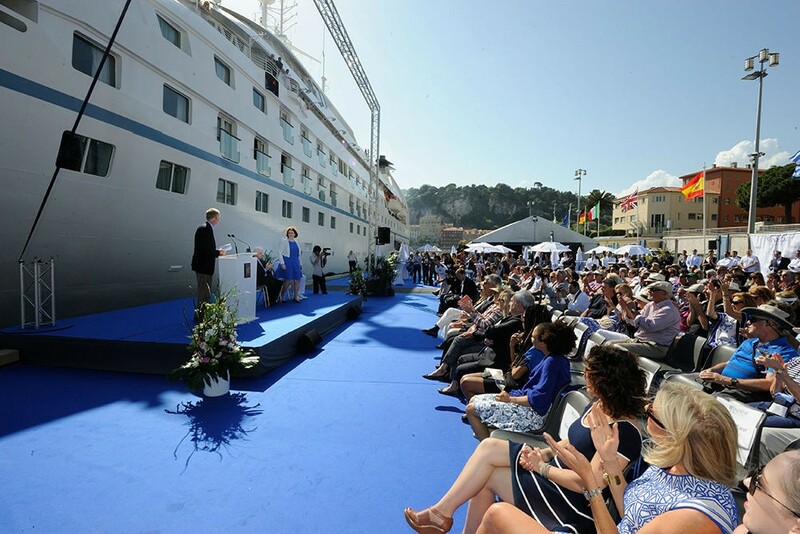 I’ve been a travel reporter for 25 years, and never in my wildest dreams did I think I’d be named godmother of a cruise ship someday. 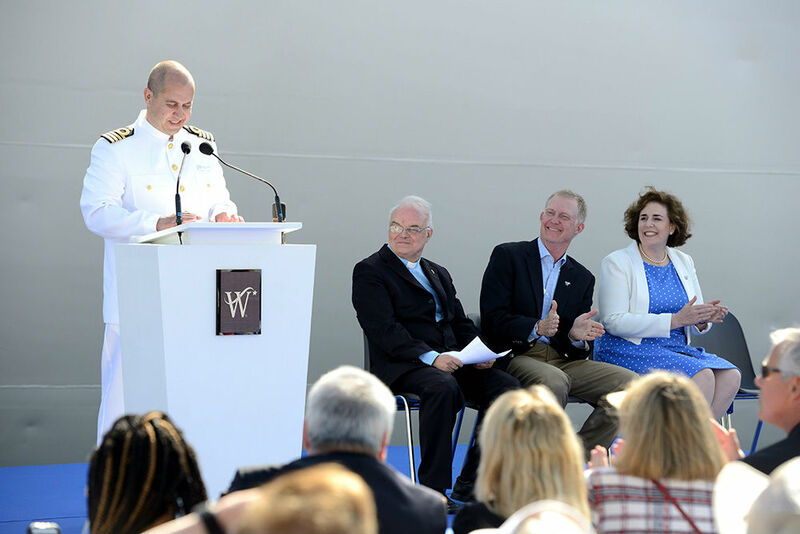 But last week I christened the newest addition to Windstar Cruises’ fleet, the 212-passenger Star Breeze, in a ceremony on the French Riviera, and then hosted the inaugural voyage to Rome. 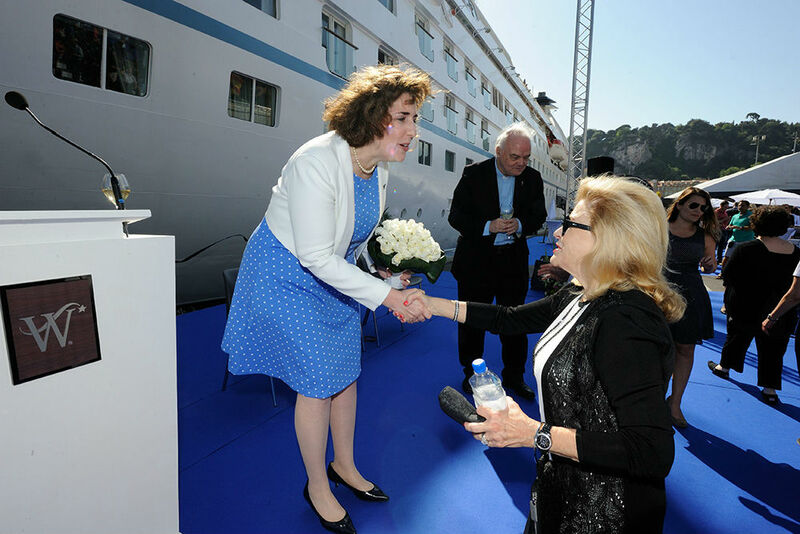 It’s a longstanding maritime tradition for cruise ships to have godmothers—they bless the ship and historically have been entrusted with the safe passage of the vessel—and I’m told I’m the first journalist to receive this honor. Usually it’s reserved for people like Sophia Loren and Princess Kate. Here’s why Windstar chose me. Being named godmother is a tremendous honor. It’s also one that some people might view as a conflict of interest for a journalist. You might be wondering whether I’ll show bias toward Windstar. You might question how I can report impartially on Star Breeze when my portrait hangs in one of its hallways. So let me explain why I accepted this honor. First, as I’ve told you, it’s meaningful to me personally. The Windstar sailings I took with my dad two decades ago are among my favorite memories of our time together. And my husband and I still keep in touch with friends we made on our Windstar honeymoon voyage 15 years ago. Moreover, I want to do what I can to support small ships. Some would say they’re endangered. Most of the new ships that cruise lines build nowadays are behemoths. And while a vacation in a 4,000-passenger floating city may make sense for some people, it’s certainly not the best way to explore foreign countries. So I’m relieved that there are still a few small ships taking travelers to those off-the-beaten-path islands and hidden-gem harbors that might otherwise be too logistically difficult or prohibitively expensive to get to any other way. Anything I can do to help small ships continue to help sophisticated travelers see the world better, I’ll do. I want to assure anyone who might be concerned about a conflict of interest that my godmother role will have zero influence on my travel reportage or the advice I give travelers. I remain the same unbiased truth teller and honest adviser I’ve always been. 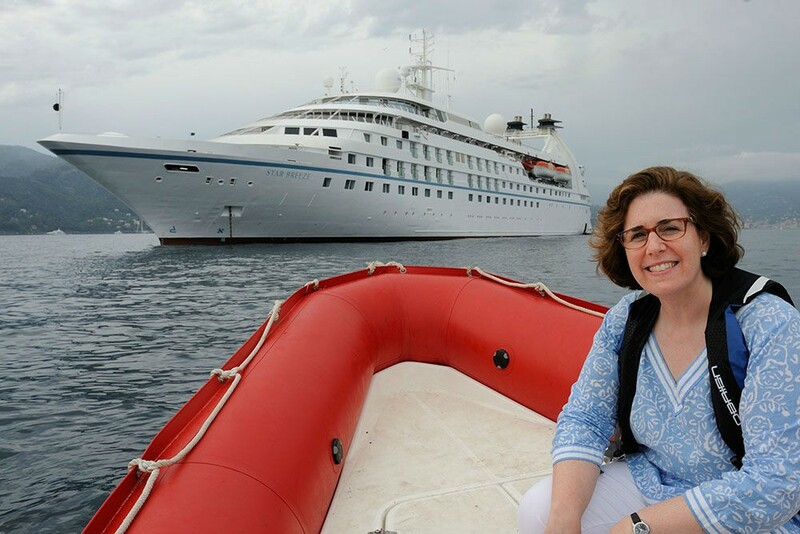 Just because Windstar’s style of small-ship travel suits me personally, that does not mean it’s for everyone. We all have different travel tastes, interests, and needs, and my mission is the same as it’s been for 25 years: To point you toward the right travel experience for your goals, whether that’s a small ship, a big ship, or no ship at all. 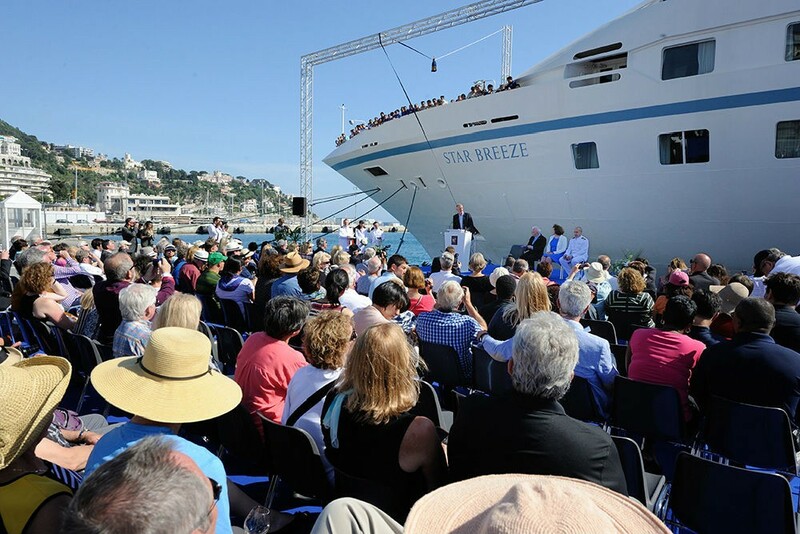 If you’re hoping for a review of Star Breeze, though, I’m going to recuse myself—not because I can’t write about the ship impartially, but because there was nothing typical about the voyage I just experienced. I was showered with special treatment (as you’ll see in the photos below), and while there were a number of regular passengers onboard—and I spent as much time as I could chatting with them—I was mainly with the media and travel-industry execs who were being wined and dined (as they are on nearly every new cruise ship’s inaugural voyage). In other words, it was not a normal cruise like one that my readers would experience, and therefore it would be a disservice to them to pretend that it was. So I will leave the reviews of Star Breeze to exceptional cruise reporters such as Cruise Critic’s Carolyn Spencer Brown and USA Today’s Gene Sloan. 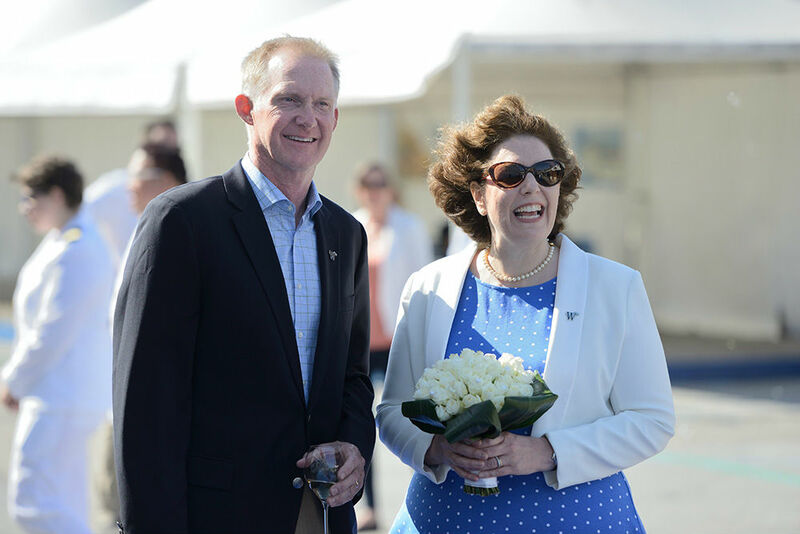 You can read their accounts of the christening ceremony here on Cruise Critic and here in USA Today. My husband Tim (who shot the photos here) also plans to weigh in (I’m not sure how, but I’m sure it will involve more photos). Stay tuned. 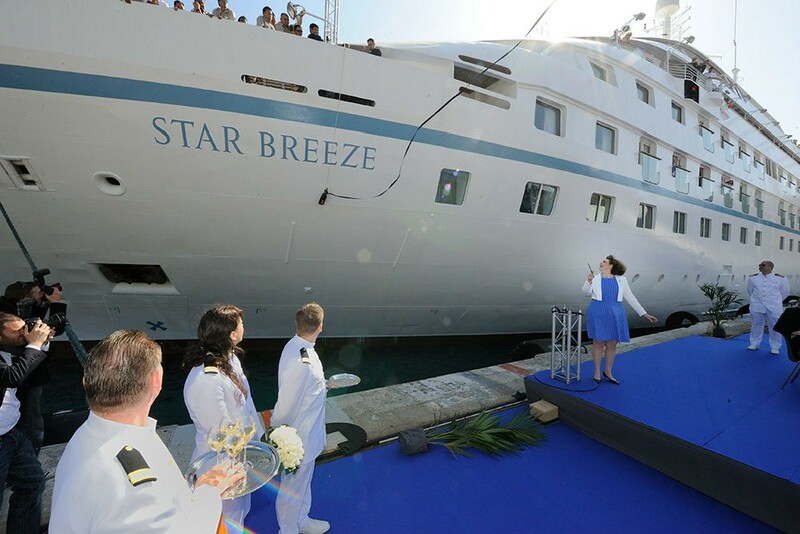 I’m honored to serve as godmother of Windstar Cruises’ newest ship, the Star Breeze, launching May 6. 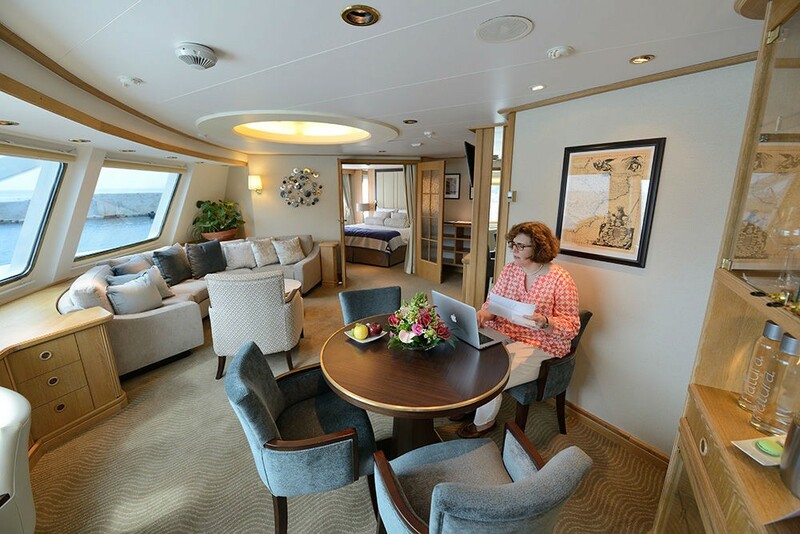 Wendy chatted with Cruise Critic readers today, sharing her best advice and insights on family cruises. Here are a few highlights from the conversation. Given that Windstar was brilliant enough to choose you as the ship’s Godmother, they must have known that it is just not in your DNA to write a breezy “everything smells like a strawberry” review. 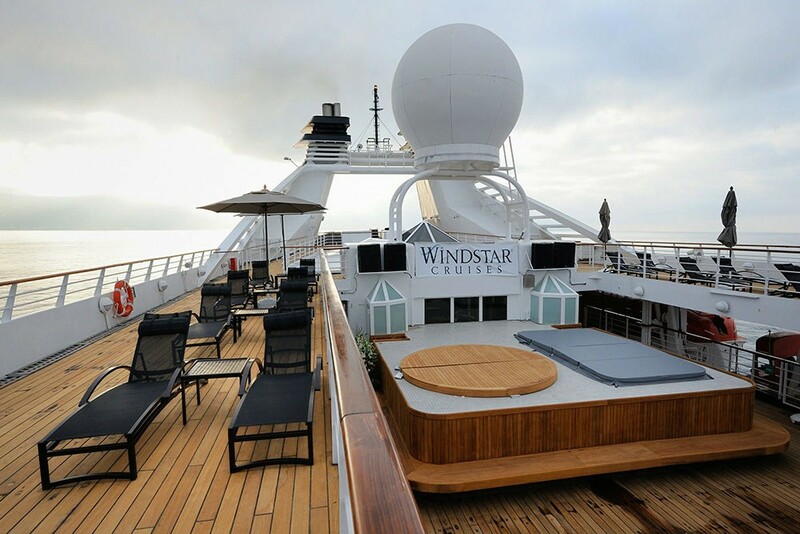 Windstar’s price point is significantly lower than their five-star small-ship competitors and all that they offer, and they offer a lot, has to be evaluated in that context. I was fascinated by your reference to small ships as being a kind of “endangered species”. That really rings true and I had never thought about it in that light. 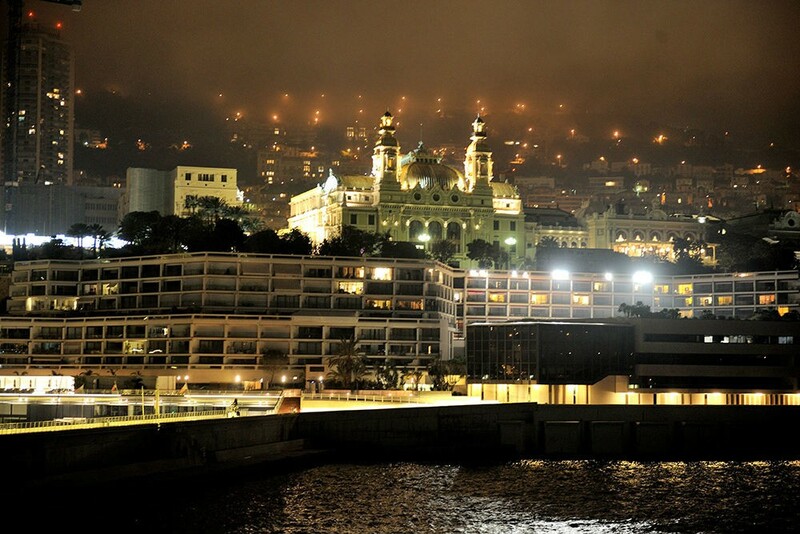 People may dream about ultimate wealth and owning their own yacht. The truth is that for a little bit more money you can cruise a line like Windstar and easily imagine its your own yacht. Congratulations on your singular honor. We all couldn’t be happier for you. 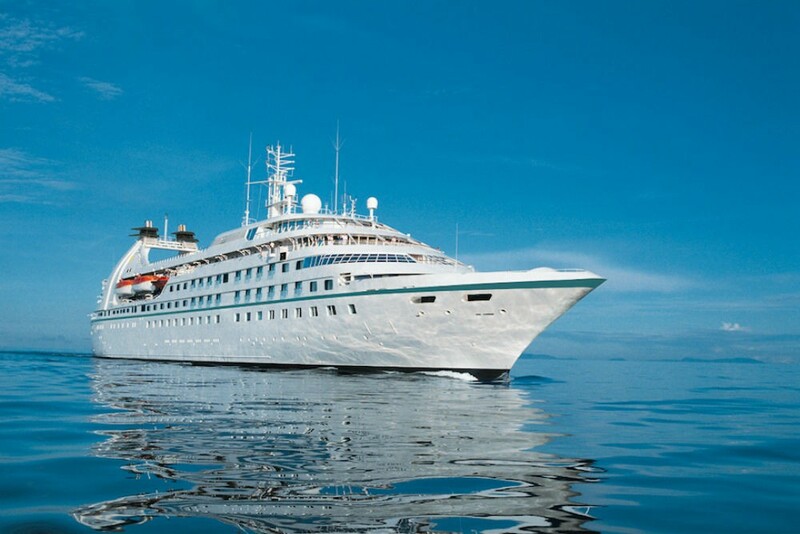 Preferring sailboats over ships, I’ve never considered a cruise, but Windstar’s small ship cruiselines sound heavenly. Congratulations on being coronated as the godmother to this one! It was great meeting you Wendy, and witnessing the realization of your first “Godmother” crowning. Congratulations! As we discussed on the ship, Ray and I are huge Windstar fans and have taken many journeys aboard their sailing ships. 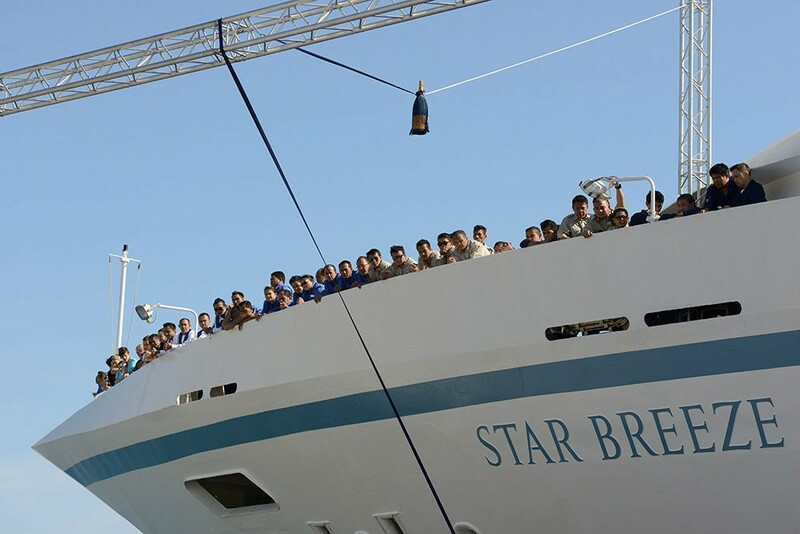 We were delighted to join the Star Breeze for it’s inaugural voyage and even more delighted to find the new ship had retained that intimate feel that we’ve come to love throughout the fleet. While there may be small imperfections on an inaugural cruise, there are also exciting experiences that passengers rarely get to take part in… the christening, a private party in Monte Carlo, free champagne at on-board parties, just to name a few. We didn’t have the problems or issues Alice did except for the door key but that was addressed in minutes and to our satisfaction. 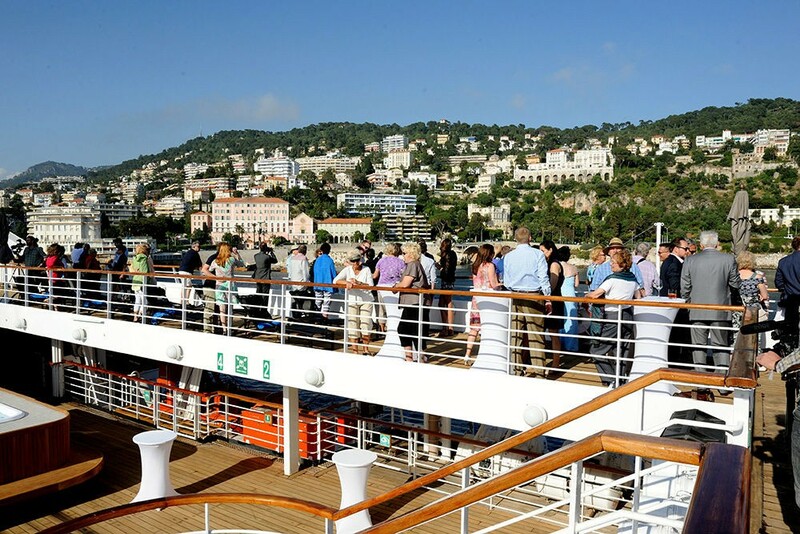 We stayed on the ship for another week and visited ports not included on the inaugural voyage, like St. Tropez. The second week was as enjoyable as the first even though we had to pay for our own wine! 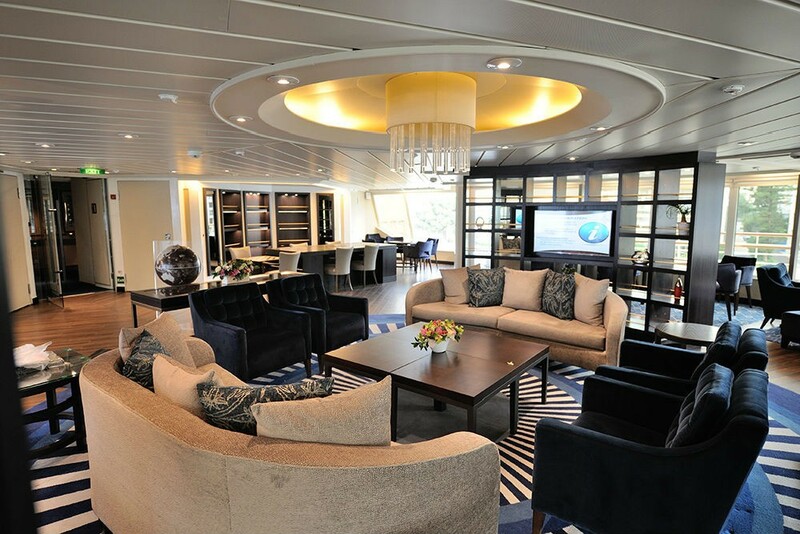 The all suite concept is so appealing. 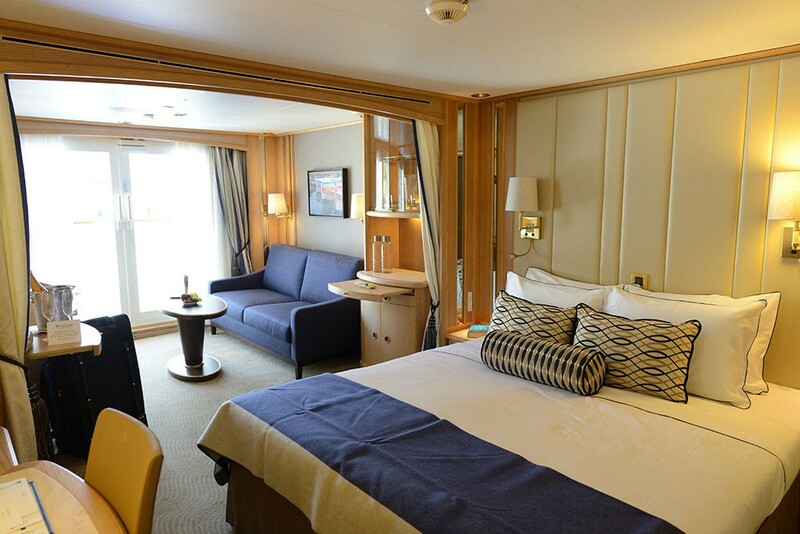 It’s hard to resist the roomy staterooms on the new ships which include walk-in closets! That was a surprise. The only problem we will face in the future is deciding between vacationing on the romantic Windstar sailing ships and the more room and comfortable new vessels. It was fun talking to you aboard the Star Breeze. Thanks for the article and the wonderful photos! Oh, you and all the other writers and Windstar execs were getting wined and dined. Now it makes sense. I guess that is why we had no towels in our bathroom, our room key cards had to be returned 5 times before they worked, the service in the dining room was terrible, the pool and whirlpool were out of service (and filthy), and I was told by the film crew that I had to get out of their way. I’m glad you had a nice time. Alice, I’m surprised and sorry to hear about the issues you encountered. To clarify, though: It’s not the Windstar execs who were being wined and dined. They were hard at work readying the ship and doing their jobs. (Trust me, on the morning before passengers embarked, I saw them hauling equipment in their T-shirts. It was all hands on deck.) No, the “travel-industry execs” I referred to in my article are “trade partners” (e.g., travel agency consortia) who had been invited to experience the ship. 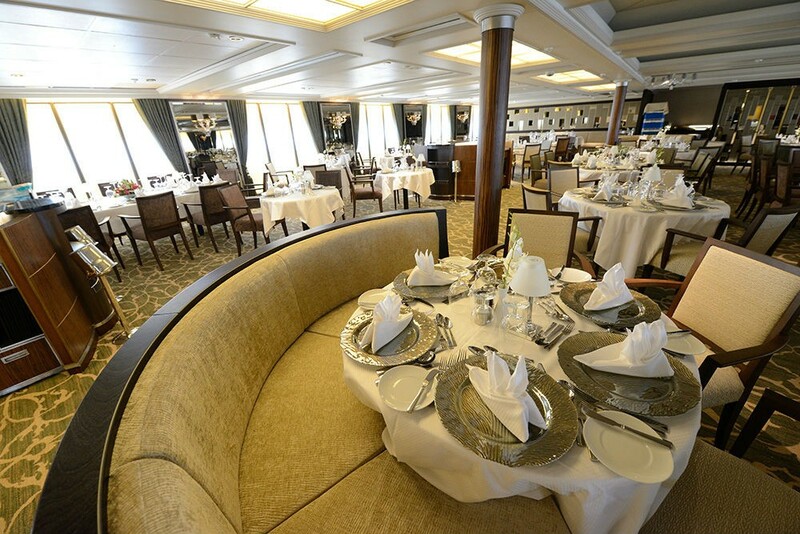 This is normal for the first voyage of any new cruise ship: The cruise line invites trade partners and members of the press to experience the ship. Sometimes regular passengers are onboard, sometimes they’re not. Alice, I presume you filled out the feedback questionnaire in your room and/or have written to Windstar, so they’re aware and can fix the issues you encountered? I’ll forward your comments to Hans Birkholz, the head of Windstar, as well. 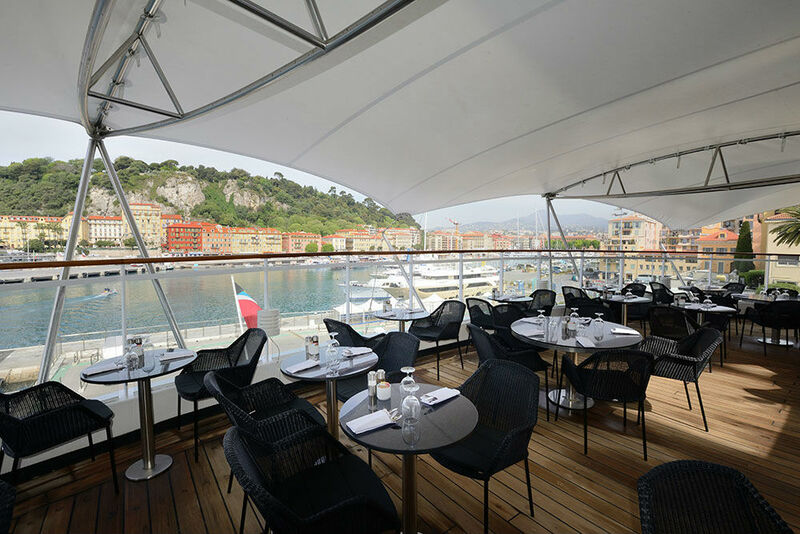 The ship had just undergone a $9 million renovation in the space of a mere 18 days. 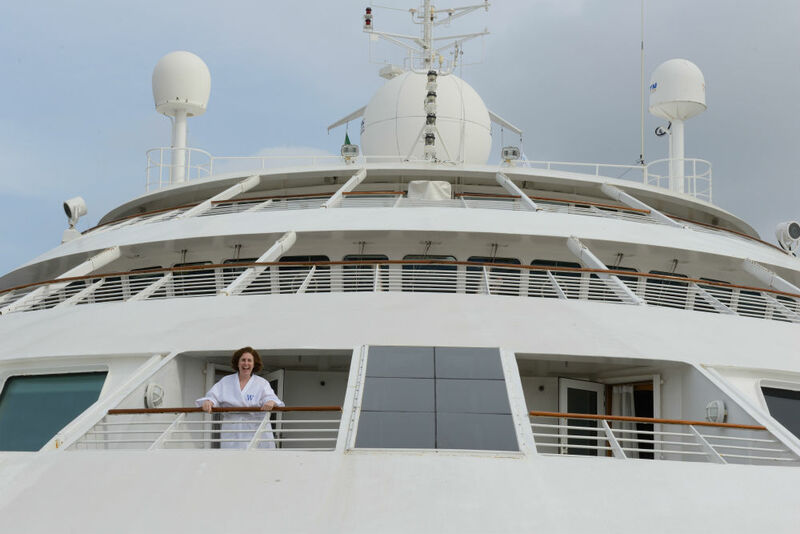 Windstar took possession of the ship from Seabourn on April 18 (the ship was formerly the Seabourn Spirit) and made enormous changes — removing the main pool, expanding the deck areas, replacing the furniture, bringing on and training entirely new staff, etc. — and I think the ship wasn’t completely ready when we set sail on May 6. This was my first-ever inaugural sailing on an ocean cruise ship, so I don’t have first-hand experience of these things, but I was told by trusted sources who have been on many inaugural voyages that it’s normal for a new or extensively renovated ship to have kinks to work out on its first few sailings. I know it’s the same for hotels: New hotels have a “soft opening” so they can work out all the problems before they’re ready for prime time. 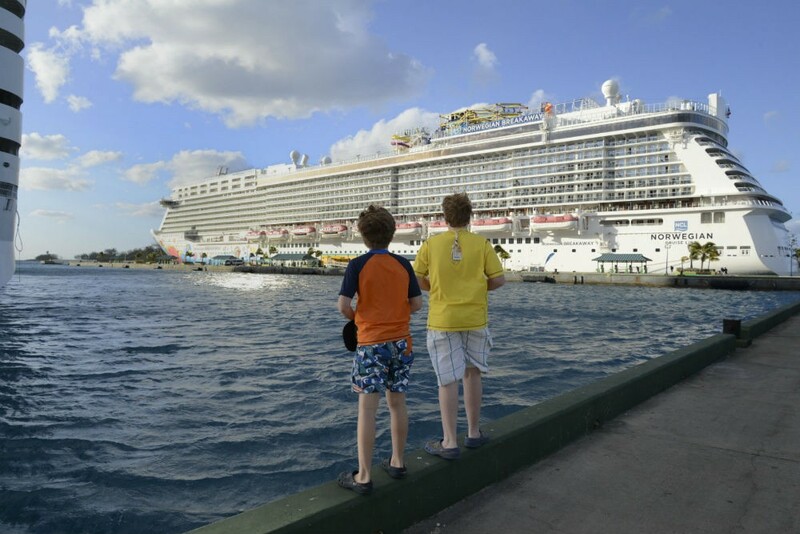 I think the main takeaway here for travelers is: A cruise ship’s inaugural voyage is abnormal, so opt for one only if you know that the excitement of the events and buzz onboard will outweigh any maintenance or staff-training issues you might encounter. Alice, will you keep me posted as to how Windstar responds to your feedback? Thanks! I appreciate your transparency. And congratulations! What a thrill.